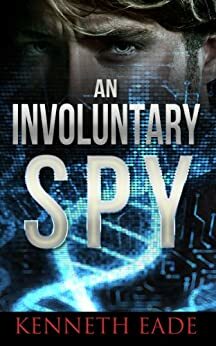 Spy Thriller: An Involuntary Spy (Involuntary Spy Political Thrillers Series Book 1) - Kindle edition by Kenneth Eade. Mystery, Thriller & Suspense Kindle eBooks @ Amazon.com. Seth Rogan was a bad spy. He wasn't a spy at all. Just a guy trying to do the right thing. As a biologist for the largest biotech company in the world, he had a great job, and enjoyed all the perks. 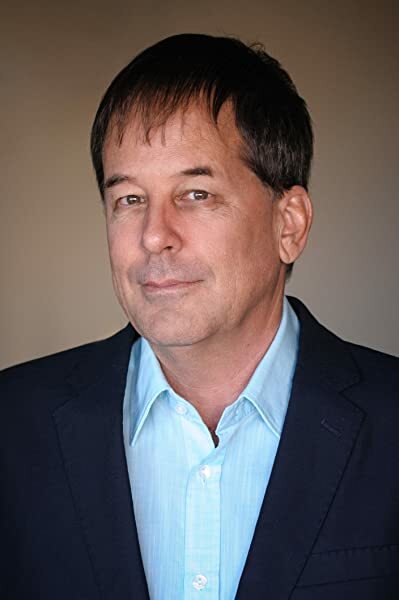 But when asked to do some tests on the company's genetically engineered (GMO) foods, he uncovered secrets that entangled him in a web of corruption, fraud and conspiracy that he could not escape from. In a story of mystery and suspense that seems too true to life to be fiction, Seth, having bit the hand that fed him, is on the run from CIA, the FBI, and the full overreaching strength of the United States government, charged with espionage, and finds temporary refuge with an old enemy -- Russia. But his peace is about to be broken as he finds himself in the role of an involuntary spy. Buy An Involuntary Spy now, on Kindle or paperback or read free on Kindle Unlimited. If you like espionage and spy thrillers with non-stop action, twists and turns, pulp thrillers or genetic engineering science fiction thrillers, you will not be able to put this book down. Named one of 100 best science fiction novels by IMustRead.com, "One of the best science fiction books, a tale of espionage, conspiracy and intrigue. Keth Rogan, a biologist, is forced to become a spy. In a sequence of events that force him to act, in order to do the right thing, and fight forces far more powerful than him." Thanks for considering my books. Please go to my web site at kennetheade.com, sign up for my mailing list, and I will send you a free Kindle download. "I always try to tell a good story, one with a compelling plot that will keep the pages turning. That is my first and primary goal. Sometimes I can tackle an issue-homelessness, tobacco litigation, insurance fraud, the death penalty-and wrap a good story around it." -John Grisham. That is the idea behind this book, which I hope does both. In fact, this book is being used as course reference material for a sustainability course at Columbia University on the subject of food ethics, which proves that fiction can be used to teach useful concepts. When I wrote this book, I sought to write an action packed political thriller that was not the "same old thing." Instead of Americans going after evil Russians or terrorists who are out to destroy the world, this book is about real things that could really happen in today&apos;s political context of government corruption and the revolving door and genetically engineered foods. Although this book is fiction, and you can decide for yourself which side of the GMO controversy to be on, I hope that it makes you question how much control the people have given up of their government. I also hope it gives you an idea of the critical mass our world environment is nearing. Finally, I hope that it entertains you. 5.0 out of 5 starsAn insight into what is going with agriculture---thrilling but full of hard facts that are not all fiction! An involuntary spy is caught up in the fight to silence 'the whistle blower before the truth is revealed'. Some reviewers were put off by the amount of real life facts presented in this book. This author is right on in his presentation of this spy story. There is the frustration in not knowing what one reader can do . The author portrays a chemical company that is controlling the US and then the world's seed supply esp. with its ubiquitous weed killer. Well substitute the real company starting with an 'M' and it's pesticide 'R' and you have the real life situation. All sanctioned by the congress, FDA, and EPA. Most if not all of Europe knows the dangers and has banned GMO foods. So any foods imported from the US have to be produced in separate fields. This company spends millions to block product labeling so that the consumer is kept in the dark as to the GMO dangers. I applaud this author for informing the public as to the hidden dangers of these altered foods. This book is fiction but reflects true life situations happening to the US now! events and situations that implore the public to wake up to what is happening to the real world food supply. I enjoyed reading this book. While the style of it was mostly light, it kept my interest. It dealt with two different times in the story that was easy to differentiate by both their content and font. The early time period was printed in italics. It kept my interest and I found the novel hard to put down. The book also had food for thought. The concerns of the main character were real. One had to consider how much of this was fiction. The issue was the safety of biologically altered foods. Of course this is fiction. Or is it. Within the story the dangers were expressed in detail. Government collusion was also involved. Okay, it was compelling fiction. After the novel concluded, the author told of facts that he found that showed that indeed there is a problem. From his statements I cannot definitely conclude anything. I would need more input. But it does warrant some further investigation and reporting. This tale is obviously a 'pet peeve' of the author and there are reviewers complaining about the extent of detailed technical information. The author insists that it was essential in order to enforce the importance of the story. The format employs italics to explain the technicalities and the background of the 'hero' and his endeavours - I must admit that I tended to just skim read anything in italic. The 'hero' becomes suddenly adept at a range expertise (like computer hacking and lock-picking) he seems to have just learned from the internet. Then he seems able to purchase complex equipment (even in remote Russia) .... from the local delicatessen, perhaps? He also seems capable of conversing with Russians without knowing the language. There is a light smattering of grammatical goofs! Toward the finish, the author suddenly seemed bored and wanting to quickly wrap up the tale. At end of a chapter the main character is in Russia and in all sorts of legal and political trouble, plus people trying to kill him. Turn the page and he suddenly seems to be magically transported to somewhere in America and participating in some sort of unexplained political enquiry!